The property that this building stands on was donated to the village by the children of Henry Livingston (1837-1906), who lived across the street and edited his paper, The Southside Signal. The property was left with the agreement that it would be developed for community use. Up until 1969 the building housed the public library. 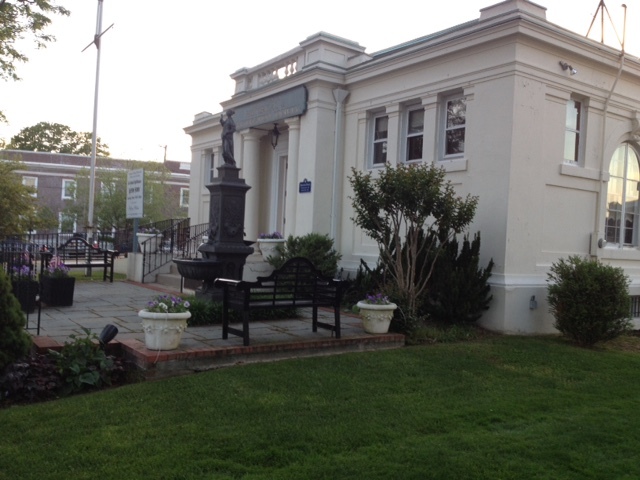 In 1969 the library was relocated and the historical society was formed. The museum within the building was established 20 years ago. My first visit to the museum was with my two children, who I was homeschooling at the time. I thought the visit would be educational and make for a wonderful field trip. A middle room in the museum depicts life during the Victorian era. The front room of the museum depicts life in the 20s, 30s, and 40s. I think we all learned more about the past than any history book could have taught us. Any time you have a chance to learn hands on about the history of your hometown, take advantage. History truly comes alive when you experience it by seeing with your own two eyes all the artifacts from generations before. Does your own hometown have a historical society or museum? Have you visited it and if so, what was something you learned that you never knew before? Until next Saturday, have a wonderful weekend!